Kitserver 5.5 is an add-on program for Pro Evolution Soccer 5, Winning Eleven 9, and Winning Eleven 9 Liveware Evolution. It is a loader and manager for various modules. Kserv Module provides the alternative way of managing players and goalkeeper kits outside of the game's AFS file: you organize the PNG or BMP kit images into an external database, which is basically a collection of folders and files that follows few simple rules. You are not restricted to just 1st and 2nd kit for each team - you can have as many as you like. The BallServer Module does similar things to Kserv: it offers the possibility of chosing a ball from the external database. Of course it is possible to store more than the eight standard balls. Another extension is the Faceserver Module. As the name says, it allows to use more faces and hair from an external database without overwriting existing ones. With StadiumServer, you can choose additional stadiums from your GDB. 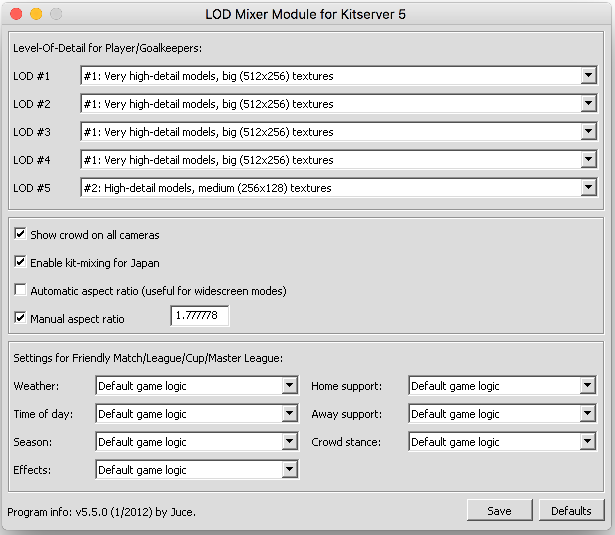 Furthermore the LOD Mixer Module enables more detailed graphics and controlling of match aspects in Leagues and Cups. Some additional modules were backported from later versions of Kitserver: Bootserver allows to assign each player personalized boots from GDB. AFS2FS module allows you to organize your patches into folders and files, instead of inserting them into AFS-files. This way, you can quickly add/remove patches, and also never worry about needing to re-build AFS, because of lack of space for a particular BIN. There is also a Speeder module - to alter the game speed (increase/decrease). And the last new addition is the Network module, which provides easy means of configuring which network server to connect to and automatic roster updates. Now you can have more than just 1st and 2nd kit, but also 3rd,4th,etc. You can also mix the parts of all kits. "KDB" has been renamed to "GDB" (Graphics DataBase), as it contains more than just kits, but also balls and faces (and eventually more graphics later). The internal structure is also completely new. Old structure wasn't well suited for extra kits, but this new one is really flexible. Once you get used to it, you'll notice it's easier to navigate than the Kitserver 5.0 KDB. This is the latest change in Kitserver 5.2.1. Parts of the internal logic were changed so that you can use bigger textures now. Also there is no more need of shared palettes as 24 and 32 bit images are possible now, offering more than 16.7 million colors! Still you can keep your existing GDB, 256 color images will be converted internally and will work for mixing as well, even with kits of other sizes and color depths. Now let's move on inside one of the kit folders. Take pa, for example. This is how you folder will look, if you have a so-called "all-in-one" kit, meaning that it's not split into separate parts: shirt, shorts, and socks. Kitserver can successfully work with split kits and all-in-one kits, as it would automatically split the all-in-one kit at runtime if you are mixing parts. In order for runtime split to work, make sure you don't delete the folder called masks. It should be inside uni. Kitserver uses the mask images to do the automatic split of all-in-one kits. Generally there is no problem using all-in-one kits. Anyway you may want to use split kits when you don't have all the parts or want to add a single part and not a whole kit because you already have that shirt and you don't want it to appear twice in Strip Selection. For example, see Newcastle's px-away2 folder: it doesn't have the all.png, but instead contains shorts.png and socks.png. Notice that there is no shirt.png in there, which is totally fine: the kitserver will just use the shorts and socks, and take a shirt from a different folder. This is the attribute configuration file (in previous Kitservers it was called "attrib.cfg"). As before, it is just a plain text file - you can use Notepad or any other text editor to view or modify it. For each folder that has shirt or shorts in it (either as part of all-in-one kit, or as separate image) should have a config.txt file in it. Most of the attributes apply to the shirt, except for "shorts.number.location", which applies to shorts. That's why you would still need a config.txt in a folder, which doesn't have a shirt image, but has shorts. Additionally the attributes "description" and "mask" refer to all parts. shorts.num-pal.X Filename (with path, relative to kit folder) of the image that contains numbers palette: a 4bit/8bit paletted image. This is the palette that will be used for the shorts from kit folder "X", if such shorts are used with the current shirt. string in double quotes shorts.num-pal.pb = "..\pal-black.png"
description Here you can specify the name of the kit. This will be used for kit information, which is explained later. string in double quotes description = "Home (UEFA Champions League)"
mask This is the mask file that will be applied when splitting the kit for mixing parts. You only need this if the splitting rules are non-standard (see the notes for kitmakers if you need more information) string in double quotes mask = "mask_juve.png"
(since 5.5.7) This specifies an image which is laid over the texture. Please see the notes for kitmakers section to learn more about this. string in double quotes overlay = "epl-overlay.png"
For the shirt use Adidas numbers (black). When this shirt is used with "pa" shorts, then apply palette file "adidas_white.png", which effectively renders white numbers on the shorts. When this shirt is used with "pb" shorts, then apply palette file "adidas_black.png", which results in black numbers being drawn on the shorts. You can switch between 1st/2nd kits as before - using your keyboard or gamepad - whatever you have configured. In order to get to the extra kits, press "O" button - to enter "Change Setup" mode. The little yellow arrows will now move the individual parts of the kit, signalling that you can start mixing individual parts. This is all standard game functionality - you don't need to press any special hotkeys to activate that. Now comes the Kitserver new feature: by switching to different shirt(shorts,socks) you will now be cycling through all available parts, and not just 1st and 2nd choices. In version 5.2.3 you can now cycle in both directions. It is also possible to set goalkeepers kits. There are now 2 modes of kit selection: "Player mode" and "Goalkeepers mode". You can switch between them by pressing [Tab] key. For goalkeeper, choose the kits the same way as you did for the players. As with player kits, you can mix the parts, if you go into the "Change Setup" mode. Right under the kit preview additional information is displayed. Since there is not enough space, these are split in some pages between which you can switch withe the [PAGE UP] and [PAGE DOWN] keys. On the picture you can see the page called "Kit information". It shows the names of the selected kit parts which can be specified with the "description" attribute. The name is used for all kit parts in that folder. If nothing is specified the foldername will be used or in case of the four standard kits (pa, pb, ga and gb) the name "Standard [Home/Away]". As you can see this display is the second one in standard configuration, so you have to switch to it before. TROUBLE-SHOOTING tip: people who tried early releases (5.1.0, 5.1.1) have reported some display problems with 2.5D kits on GeForce FX and GeForce 4 cards: screen flickering, and kits not showing up during strip selection. Kitserver versions 5.1.2 or newer contain a fix that should eliminate that problem. If you still experience this, updating your video card drivers might help. One of the most important changes in version 5.2.1 is HDPES. It means that you can use much better kits now since there is no more restriction of texture size and color depth. For example 1024x512 or 2048x1024 pixels big textures can be used. Width and height are not required to be a power of two, so 960x480 or 1234x642 textures will work too. Aspect ratio is recommended to be 2-to-1 (width twice as big as height) - to have the familiar appearance of the standard kit texture. However, it is not strictly required: the texture will be stretched as needed. Since version 5.5.7, you can mix kits of different arbitrary sizes, and everything should still be rendered correctly. All parts are resized in a proportional way, so the texture should look like before when you zoomed in. Furthermore you don't need to care about annoying shared palettes anymore as the pictures can have more than 256 colors. Accepted are 32 bit images such as a PNG file with alpha channel, 32 bit RGBA, and 24 bit RGB images. The easiest ones to work with are 32-bit RGBA images - so that is the format i would recommend, but the other formats are still fully supported. For 24-bit images without alpha information, Kitserver will look for a 256 color image in the same dimensions which is called like "all-alpha.png" or "shirt-alpha.bmp". If found, the palette index is taken as alpha value of the pixel at the same place in the texture. You can find a sample palette named "alpha.pal" in the kitserver folder. If you use that, black with an index of 0 will stand for full transparency and white with index 255 for complete opaque. If no alpha file is found, all pixels are taken as opaque. For now only 256 color images can be used as alpha files, but no real black-white images. Not the color is important, only the index. Something that's also important is the splitting into the individual parts. As before this happens with masks, but the format has changed. 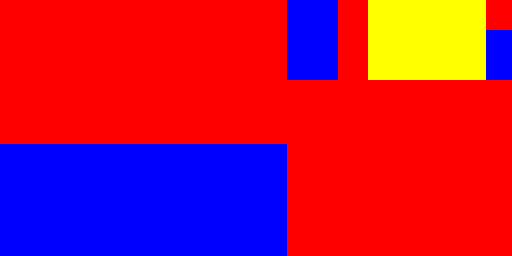 Now all three parts are saved in one file and marked with the colors red (shirt), blue (shorts) and yellow (socks). By default the "mask.png" in the uni\masks folder is used. 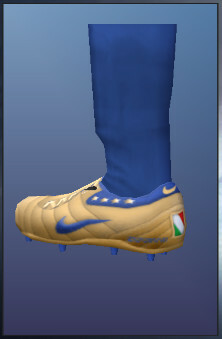 However, since Juventus has two individual socks you need a changed mask. This can be specified with the "mask" attribute and is then searched for first relatively to the folder holding the config.txt and then in the "masks" folder. The mask of the shirt is always used for all parts. Nevertheless, in spite of all these changes you can still use your existing GDB since all textures are resampled internally to 32 bit so that you can even mix all kit parts, independant from palette and color depth. Also combinations of different texture sizes are allowed. It is only important that you copy the "masks" folder, otherwise splitting will not work. Often, teams use the same kits for different tournaments, only with a different badge on the sleeves or other modifications. To avoid creating too many textures, you can use this option to overlay the texture with another one. The transparency plays a big part here: only parts of the overlay texture should be used. This is why theses textures have to be saved either as 32 bit or indexed 256 color images with alpha channel in the PNG format. 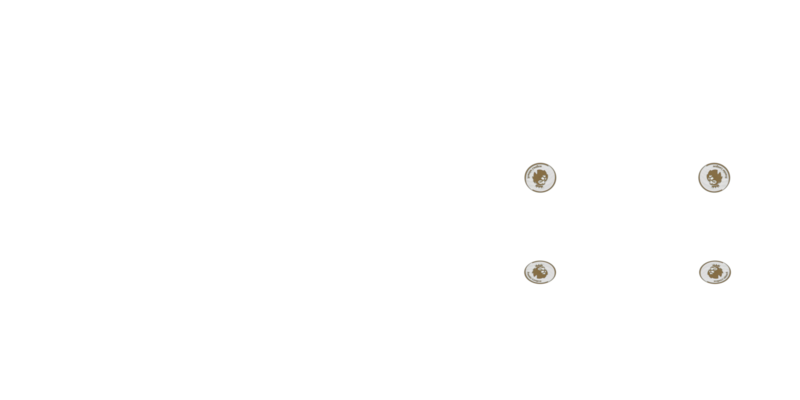 NOTE that these 2 particular overlays will not render correctly for so-called "narrow-back" kits, because the sleeves for narrow-backs are located and oriented differently on the texture. For those kits, you will need a different overlay - with badges oriented and placed to fit the narrow-back kit texture. With version 5.2.3 you have now a real 3D preview how the ball will looks ingame. Start the game just as usual. When you come to Strip Selection, you will see a new text under the mini-kits saying "Ball: game choice" by default. In this case, you will recognize no change when playing as the ball you selected in the options will be used. Now comes the new feature: press B on your keyboard to select the next ball (or V to cycle back). The text will change into "Ball: <name configured in map.txt>" and if everything is well-configured, you will play with that ball. To choose a random ball, press R and to reset the ball to game choice press C. Under the text you can see a 3D preview. It doesn't need any configuration or additional files in the GDB as it is created from the texture and the model file defined in your map.txt. If you don't see the text, you have to navigate to it. The text at the bottom should say "Ball selection" then. Ball: game choice The ball selected in the game options will be used. Ball: Nike T90 Omni LFP White-Blue Always play with this ball (normal mode). Ball: Ordem EPL Home ball mode for a team with home ball assigned. If you play the next match with another home team, the ball will automatically change to that team's home ball. Ball: Ordem EPL (Winter) Home ball mode too, but for a team without home ball. In that case, a random ball will be chosen. However, the home ball mode is still active, so if you next team has a home ball, that one will be used. Ball: Adidas Champions League Auto-random mode: For each match, a random ball is chosen. # To disable ball preview, change "preview" setting to 0. Normally, you do not need to worry about the configuration file - defaults are fine. But if you want, you can tweak the behaviour of ballserver. The preview settings allows to turn on/off the 3D ball preview. By default it is enabled (set to 1); if you want to disable preview, set the value to 0. Another set of options allows to re-map the hot keys that are used for ball selection. You will need to lookup the so-called "Virtual-Key codes" on the MSDN web page that lists them. NOTE that it is ok to re-map the keys to the same ones that are used by other module - for example, stadium server. This is possible, because ballserver and stadium server only respond to their hot keys, when corresponding information panel (with the text) is shown. Faceserver is similar to Kitserver and Ballserver, making it possible to load as much extra faces and extra hair from the GDB as you want. Thanks to some changes to the internal logic (again), faceserver doesn't have any more problems with cut-scenes (such as substitutions) and edit mode. Please notice that faceserver depends on the player ids. As these aren't saved with replays and a team you can export from the master league, it can't work in these situations. A new module to fix this is already under development, but not finished yet. As a result of the changes you can go to edit mode now to see how the faces look. In fact you should do this before and after inserting a new face as there are three new displays at the upper right. 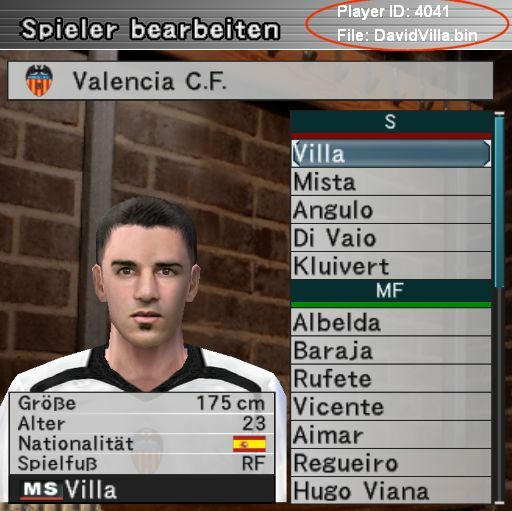 The sample face of David Villa was made by Chris79. The player's id is the one that you can also find in PlayerList.txt and that is needed to configure in map.txt. 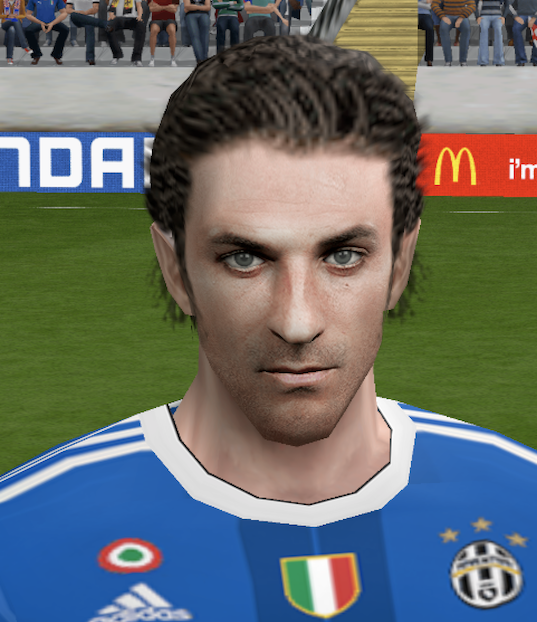 To add a face to this player, remember the id and go to your GDB\faces folder. Copy the face there (extract it before to a bin file if you downloaded a zip file!) and open the map.txt with notepad. Add a new line after the sample, using the format given in the comment in the upper part (the player's id followed by the filename in double quotes). The filename is relative to "GDB\faces", so you can use subfolders (for facepacks or the different teams, or what you like). In the Ballserver manual you find an example for that. That's it. When play the game now, the player will have the face you assigned. To check this, go back to edit mode and look at the top. When you select a player with a new face, the filename is displayed. Don't worry about the fact that the face is not shown when you edit a player. This just shows that it is not saved in your optionfile. In the game you will see it properly. Some people seem to have problems finding PlayerList.txt. Although not really needed anymore, it is still a good overview about the players. You find it in you kitserver folder after the first time you played the game with Faceserver enabled and closed it. In the new version I added some more information so you should delete the old file, otherwise it will not be overwritten. You will probably recognize that the new faces are selectable now in edit mode. They are added after the standard ones. However you shouldn't assign them here for two reasons. First this would be saved into your optionfile and might cause problems if you disable Faceserver or if you insert new faces. Second the saved face number is limited to 512. If you configure the new faces using map.txt, you won't have these problems. Maybe I will build a feature in future versions that adds the player to map.txt when you select a new face for him, but I wonder if this would be more comfortable as you would still need to copy the file to your GDB and tell Faceserver to load it. So at the moment you can use it to check the inserted faces only. Since Faceserver version 5.5.2, new experimental feature exists: HD (High-Definition) support for faces and hair. It is not very well tested yet, but appears to work fine. Inside each stadium folder the directory structure is always the same. Each stadium consists of 68 files: 66 files for the stadium itself + 1 adbords textures BIN + 1 information file (info.txt - the year the stadium was built, its capacity and the city are stored in it). The 66 stadium files are split into 6 folders - one each for the following scenarios of stadium usage: fine day, rainy day, snowy day, fine night, rainy night, snowy night. The folders are called: 1_day_fine, 2_day_rain, 3_day_snow, 4_night_fine, 5_night_rain, and 6_night_snow. The adboards textures BIN is stored in a folder called adboards_tex. A new tool call which you find in your kitserver folder helps you to import new stadiums into your GDB. It is much more simple than renaming all files manually. Just extract all 66 files into a folder named kitserver\stadimp\stadium and copy the adboard file to kitserver\stadimp\adboards.bin. Then start stadimp.exe. Enter the name of the stadium and check if the right files are copied. Only the first 66 files are copied, sorted by their names. For this reason you don't need to care about their extension. After copying, the program ask you to enter some facts about the stadium which will be saved to the info.txt. At last you can choose to delete the files inside kitserver\stadimp. Stadium Server basically has 2 modes of operation, where it will load the stadiums from the GDB: "selected stadium" mode and "home team stadium" mode. Using  and  keys you can move back and forth among available GDB stadiums. The  randomly picks a stadium from the GDB. Pressing  key, you alternate between "game choice" and "home team stadium" mode. If "game choice" is selected - the stadium from the AFS is used. You can view all of your GDB stadiums in the "View Stadiums" mode of the game. To do that, simply press the  key. To choose the weather, use the  key. KitServer now includes another tool - LOD Mixer - as an integrated module. It allows to do some tweaks to the graphical engine of the game, such as Level-Of-Detail table adjustment, enable the crowd on all cameras, choose weather/stadium/etc. for League/Cup/ML games. The controls are quite simple: With the keys  and  you choose the setting you want to change. With [+] and [-] you can change the value now. The configuration is saved automatically and also works for friendly matches now. IMPORTANT: In order for bootserver to function properly, you need to go to "Edit Boots" menu in Edit mode, and set the Type 1 to "Editable" boots. (One easy way to accomplish this is to reset all boot types to Default). Another limitation of bootserver which may confuse people initially: during matches, it doesn't matter which type of boots (1 through 9) the player has assigned - the bootserver will display correct GDB boots. However, in the Edit Mode, the GDB boots will only show, if you set your player's boot type to Type 1. First introduced with Kitserver 7, the AFS2FS proved to be a popular tool, so it made sense to *backport* the functionality into Kitserver 5 also. The basic idea to organize BINs into folders that would mirror the game *.afs files, was brought up by several people in the community, so by now it is really hard to attribute it to someone specific. (Although Str@teG was the one who finally convinced me to implement it). From personal experience, i know that people are sometimes reluctant to install big patches that require an AFS-rebuild, not because it's particularly difficult or anything, but because it can be time-consuming and disk-space-hungry. With afs2fs, this is now very easy: you just put the BIN into correct folder and that's it. And, of course, there are no size constraints - the bins can be as large as needed! The order of them is important only if there is overlapping content. Let's say for example that patch-RPL and mypes5patch both have bin #7 for 0_text.afs. (The files themselves can actually be named differently - for example: ball_7.bin and unknown_7, but what matters is that they define the same BIN). In this case, the file coming from the last root gets used - in this example, it will be the BIN from patch-RPL. In order to play on a network server, your game must be configured to communicate with it. For example, it must know the hostname or the IP-address of the main server, and the IP-address of the STUN server. Those settings were hardcoded in the game, but with the help of Network module, it is now very easy to modify them. You put the setting into the configuration file called network.cfg, and the module does the rest. Two main settings here are network.server and network.stun-server. The first one is the hostname or IP-address of the machine where the game server is running. The second - STUN-server - is used during the network configuration test, which is performed by the game. KONAMI's own STUN servers that the game was configured to connect to are now long gone, so you need to specify a different one. There are quite a few STUN-server available on the Internet that you can use - one of them is shown above. The Network module also provides a couple of additional features: automatic roster updates and usage of online roster for offline play. When you play online, it is important that you and your opponent have the exact same game data: teams, player, player attributes, and so on. To ensure that, the game uses a so-called "online roster", which is being checked upon connection to see if two players have identical data. If they do, then the match can proceed, otherwise the game drops the connection, indicating that way that the match isn't possible. Over the years, tools have been developed to modify the online roster, and sites that run the network servers typically have their version of the roster (with modified teams, players, etc.) that is different from the standard roster. In order to play on such a server, the user previously had to download the roster and install it into its own game either using tools like AFS Explorer and DKZ studio. Now, with Network Module, it's MUCH easier: if the server-hosting site provides the URL for downloading their roster, you can configure the kitserver to always check if the new roster is available and download it if needed upon entering the "NETWORK" mode of the game. This is exactly what the network.roster.update and network.roster.update.baseurl options are for: the first one enables/disables the automatic downloads, the second one specifies the URL from which to download the updates. Inside that db.zip file, mentioned in the previous section, the authors and maintainers of the roster may also include a file called option.bin (in addition to other roster files). This file must have the format of the KONAMI-WIN32PES5OPT option file. If you set the network.option.enabled option to 1, then instead of using your normal option (from My Documents/KONAMI/.../save/folder1 folder), the game will be using this downloaded option file. This can be useful, if you want to practice with the teams and players used in online mode. Some network servers require roster-hash to be passed on during authentication. This prevents cheating and playing with rosters where player skills differ between the two players. (To some extent the game itself does the comparision of rosters, but it is not enforced 100%). You can let Kitserver store your serial and password in encrypted form in your Windows registry and let it pre-populate it for you when the Network login screen shows up. Then all you need to do is press [Enter] key and you're done. The top two DLLs - zlib1.dll and libpng13.dll are needed for PNG image support. Do not remove those. There are also some additional dependencies between modules, which makes the order of them important. In particular, afs2fs.dll should be the last one. The network.dll requires bzip2.dll, libarchive2.dll, libcurl.dll to be specified in this order before it. With reserved.memory, you can increase/decrease the size of memory which is reserved by the game. The value is in bytes. This is necessary if you want to use HD adboards, big HD stadiums and high-resolution crowd. If this line is missing (or commented out), nothing is changed and PES reserves its standard 31 megabytes. You cannot set the limit smaller than 32000000, if you try do so it will be ignored. An advanced option (which is not shown in default config, but is nevertheless supported) is pes.dir. Normally, you don't need to set it, because kitserver determines the root folder for the game automatically. However, in some rare situations, it may be necessary to do so. For example, if you have the game executable, and the kitserver folder in one place, but the actual game files (the "dat" directory with *.afs files) at another path or drive. In such scenario, make sure to set "pes.dir" to full path of the game's root. The fullscreen options - dx.fullscreen.width and dx.fullscreen.height - can be used to enforce custom resolution in fullscreen mode. Note that those two options are disabled by default; to enable, remove the comment sign ('#') at the begining of those two lines, and make sure you specify resolution that your monitor supports. Since version 5.5.1, the DXTOOLS module (dxtools.dll) also supports new set of options to modify the game's so-called "internal resolution". This internal resolution is what the game uses to render each frame, before the final image is resized to fit the window/fullscreen dimensions. So, if you play on a huge screen, but the internal resolution is still standard 1024x1024 pixels, then the picture quailty will still be bad. By increasing internal resolution, we can make the game looks absolutely magnificent on big screen monitors. This all was discovered by Kingsley813 - for which he deserves huge credit. Because of his work, the old PES5-family of games suddenly got a fresh new life ;-). Fonts, numbers: original authors unknown. Images taken from this site: http://www.socsci.umn.edu/~jkoepp/pes5/ and from the game itself.